On the 15th of May of every year, Palestinians and the whole world remember how it all started. How the Israelis’ ethnic cleansing of a people and the destruction of a society – the Nakba – was met with global indifference. On May 15, 1948 the unilateral proclamation of the State of Israel which erupted into the brutal Palestinian Nakba or Catastrophe was also catastrophic for United Nations (UN) ringing the death knell for its stature and authority. Like medieval kings, the US and Israel employed the UN to be its fool running around with a cap o’ bells and sceptre (rendered useless by US veto) beginning with the 1947 Resolution 181, passed on 29 February by members (under coercion) recommending the partition of the British Mandate of Palestine into Jewish and Palestinian states which was understandably rejected by Palestine but accepted by Israel as a step toward its Zionist expansionist goal for the full realisation of a Jewish Eretz Israel. Destruction of villages (setting fire to, blowing up, and planting mines in the debris), especially those population centers which are difficult to control continuously. Forced to leave their cherished lands, the Palestinian exodus dispersed to 58 squalid refugee camps in Gaza and the West Bank as well as in Lebanon, Syria, and Jordan. All 4.9 million Palestinian refugees come under the authority of the United Nations Relief and Works Agency for Palestine Refugees in the Near East (UNWRA). Its provision of health, education and humanitarian aid is vastly inadequate to the needs of the camps’ three generations of desperate people. Israel dismissed Resolution 194, then flagrantly legislated in 1950 The Law of Return that gives all Jews the right to emigrate to and settle in Israel (aliyah) and obtain citizenship. Billions of dollars are spent promoting aliyah, the zenith of Zionism, and spent establishing 200 illegal colonies for over 500,000 illegal, mainly thuggish, colonists on occupied Palestinian land protected by the nuclear might of the Israeli military. Within days after Palestine’s failed bid to have its right to membership of the UN passed in September 2011, Israel insolently announced a further 1100 units to be built in the Gilo colony, and weeks later announced the future expansion of 50,000 illegal Israeli houses in Palestinian East Jerusalem. In April 2012, another three colony outposts, Bruchin, Rechelim and Sansana were approved flying in the face of Palestine’s prime condition for resuming the ‘peace process’ – that Israel stops colony expansion. The end of November 2011, saw Israel’s houseboy, the Leader of the Free World and Honest Peace Broker, spit out his dummy summarily withdrawing the US and funding from UNESCO because it approved Palestinian membership to its organisation thereby jeopardising thousands of UNESCO’s humanitarian projects. Since 1948, there have been over 105 General Assembly UN resolutions and over 224 Security Council resolutions passed against Israel in relation to Palestine, Lebanon and Syria condemning or deploring Israel for deportations of Palestinians, for refusal to cooperate with the UN, for assassinations, for killing Palestinian students, for denying human rights of Palestinians, for raids on Gaza, for Israel’s use of resources from occupied territories, for failure to abide by the Geneva Conventions, for repeated military interventions in Lebanon and Syria, reiterating Israel’s claim to Jerusalem is null and void, calling on Israel to cease building settlements in occupied territories, to comply with UN decisions, reaffirming the “inalienable rights of the Palestinian people”, including the right to national sovereignty and the right of return…to name a few. Most have have been ignored and /or vetoed by the USA…..
8 years ago, the UN’s International Court of Justice (ICJ) ruled on the matter of the Israeli Annexation/Apartheid Wall that ‘Israel is under an obligation to terminate its breaches of international law; it is under an obligation to cease forthwith the works of construction of the wall being built in the Occupied Palestinian Territory, including in and around East Jerusalem, to dismantle forthwith the structure therein situated, and to repeal or render ineffective forthwith all legislative and regulatory acts relating thereto, in accordance with paragraph 151 of this Opinion”. To this day, brave Palestinians demonstrate and struggle against the relentless encroachment of the Annexation Wall on their lands. In 2009, Resolution 1860 calling for the full cessation of war between Israel and Hamas was passed on the 9th January – TWO WEEKS after the war began with 200 Palestinians slaughtered on the first day. Ignoring the resolution Israel leisurely prolonged its Operation Cast Lead against unarmed and trapped Gazan families with another 9 days of hellish attacks. It ended the war a discreet two days before Obama’s inauguration. Also on May 10, the Electronic Intifada reported that UNRWA’s Commissioner General, Filippo Grandi’s appeal “to the Israeli government to find an acceptable solution, noting that the [2000 Palestinian political prisoners] hunger strikers’ demands are generally related to the basic rights of prisoners, as stipulated in the Geneva Conventions.” was hastily removed from UNRWA’s website. The 64 years of the uninterrupted Palestinian Nakba with its sweeping scale of tragic suffering challenges the UN’s moral and political credibility and its very existence as Israel’s buffoon. * Dr. Vacy Vlazna is Coordinator of Justice for Palestine Matters. She was Human Rights Advisor to the GAM team in the second round of the Acheh peace talks, Helsinki, February 2005 then withdrew on principle. Vacy was coordinator of the East Timor Justice Lobby as well as serving in East Timor with UNAMET and UNTAET from 1999-2001. She contributed this article to PalestineChronicle.com. 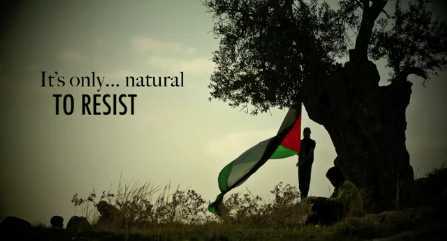 On 15 May 2012, the world is invited to express its understanding, solidarity and support to a people that has resisted… and continues to do so, for Justice in Palestine.